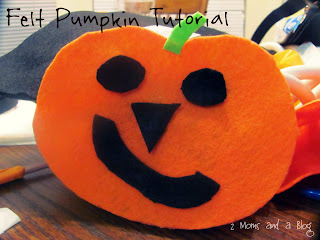 Felt Pumpkin Tutorial- kids can change the face of the pumpkin anytime! Next, using the orange cut out the shapes of some pumpkins. 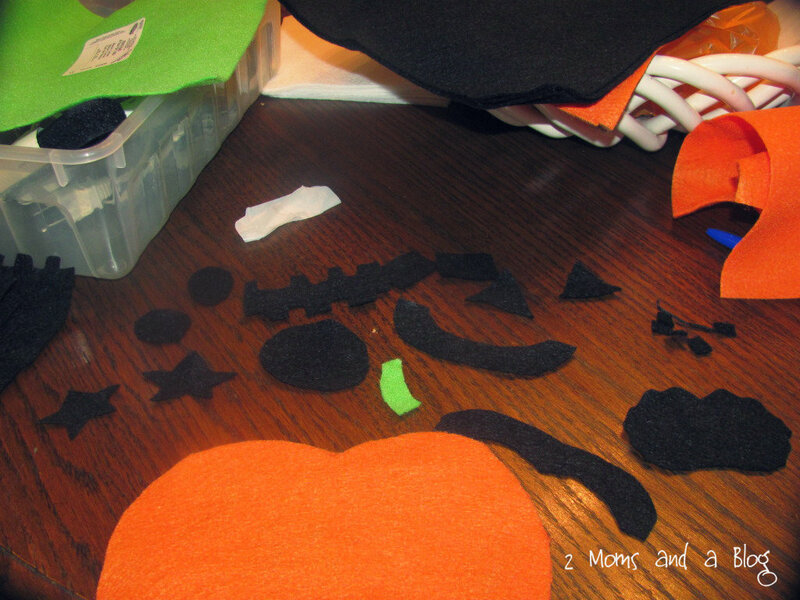 Then cut out some different shapes for eyes, noses and mouths using the black (or again, whatever colors you want to use for your pumpkins!). 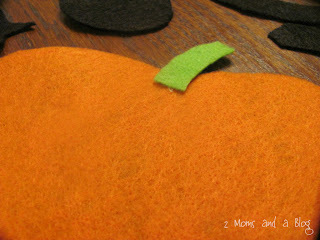 Then using the green cut a little stem for the top of the pumpkin. 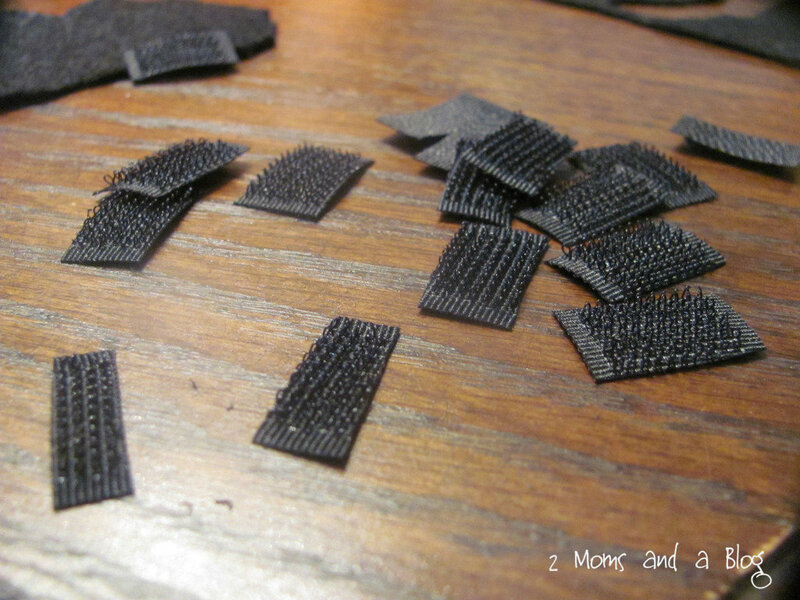 While you're at all this cutting, go ahead and cut some of the velcro into small strips. 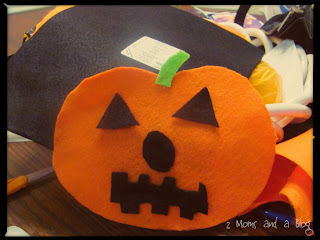 Using the hot glue, attach the stem to the top of the pumpkin and let it dry while you get on with the next task. 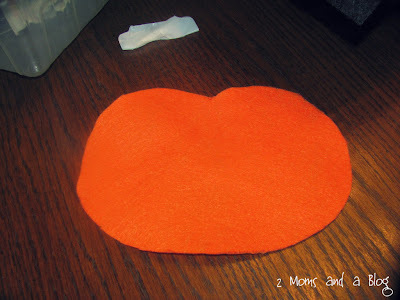 Now glue all of those velcro pieces onto the cut outs of the eyes noses and mouths. And VIOLA! 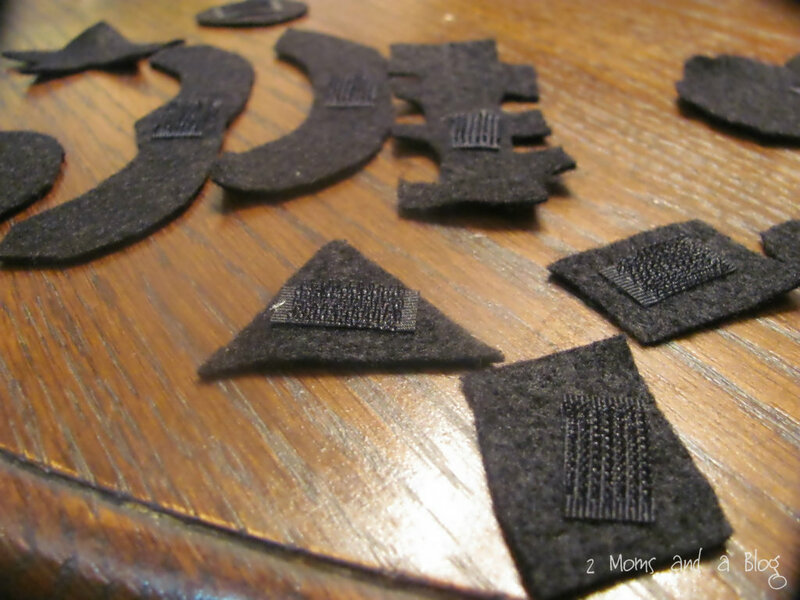 Once all the glue is dry it's all done and ready for it's face! And your kids will love putting all the different shapes on the pumpkin to make different faces! 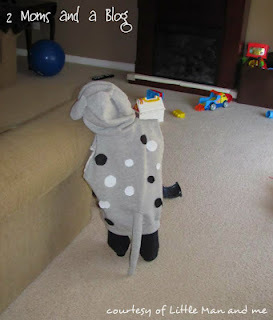 And there you have it, a really incredibly easy, super frugal craft your kids are going to have so much fun with for Halloween! Upcycle: Coffee can into cute storage canister! 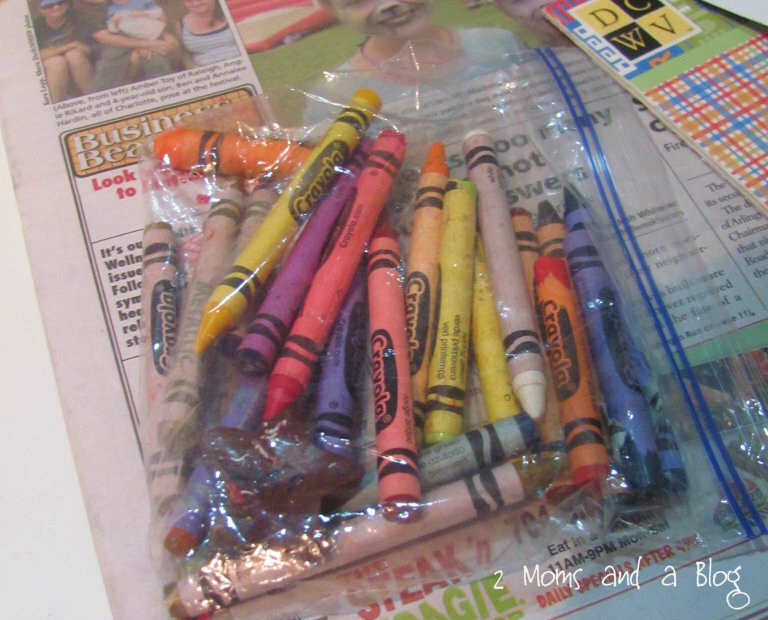 My son has crayons stashed in every corner of our home. Some are in bags, some are in pages of coloring books and there are even some stuffed in my couch. I am in the process of attempting to get his closet as organized as possible, to make a little corner for doing artwork. This will be a big challenge, storage in our home is non existent so I am starting small. Storage for the little things, like crayons. 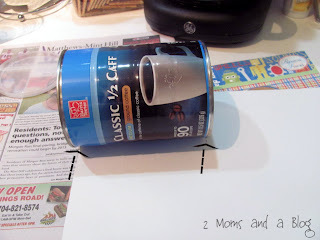 So I took a coffee can (we have many, I knew I hung onto them for a reason!) and got a little crafty. Step 1: Lay out your coffee can on the paper. Use a pen or pencil to mark on the paper where you will make the cuts. As you can see by the arrows on the picture below, I cut only to cover the colored area of the coffee can, leaving the silver rings at the top and bottom. Step 2: Make your cuts on the paper. 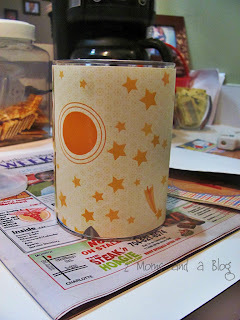 Step 3: Put the glue on your paper and quickly wrap it around the can before it dries. This will be filed away in my, *super frugal* file. I didn't have to purchase anything for this because I had everything I needed on hand! Easy, cheap and a great way to store little items! 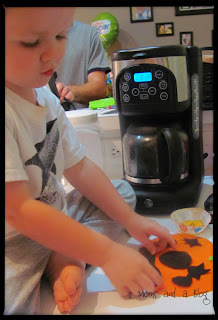 It is never too early to begin Birthday traditions for the kiddos in your life. I recently posted this tutorial on how to make a balloon Birthday Wreath. We will pull this out every year a few days before my Son's Birthday so he knows his special day is coming. 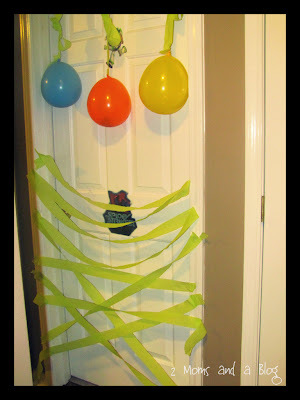 Here are some other ways to make your child's Birthday special, starting when they first roll out of bed in the morning! Starting the night before his birthday I started to get some surprises ready for him. I used streamers to put over his door frame, and hung a few balloons from the top of his door. The point was for him to bust out of the room! 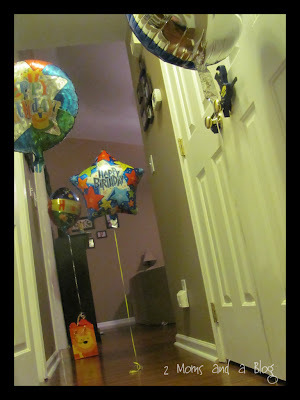 But my Son got sneaky and did a belly crawl out of his room under the streamers! He is too silly! 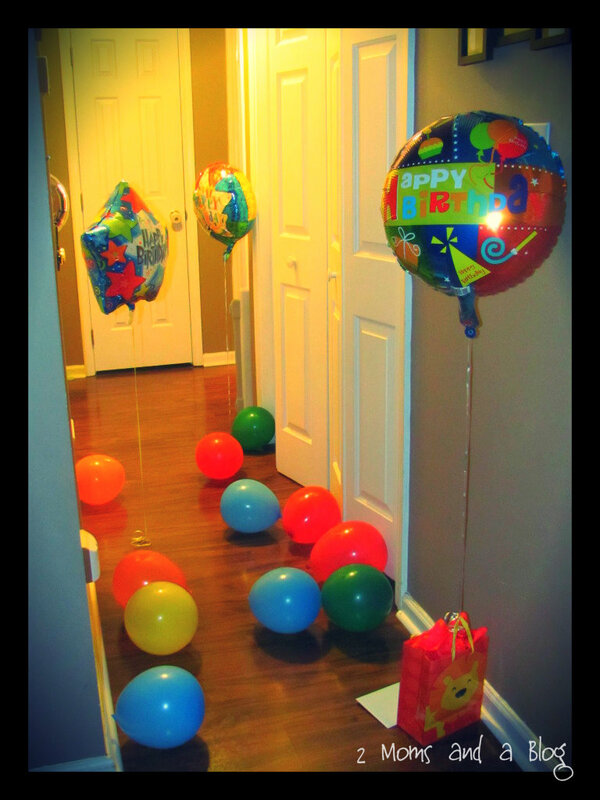 I put some balloons down the hallway leading to a little present for him to open in the morning. 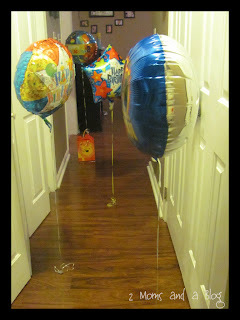 Each balloon was weighed down with quarters, so it was an extra surprise for him! The next morning I got up super early and put out lots of other balloons in the hallway. 3 balloons had a dollar bill in them. 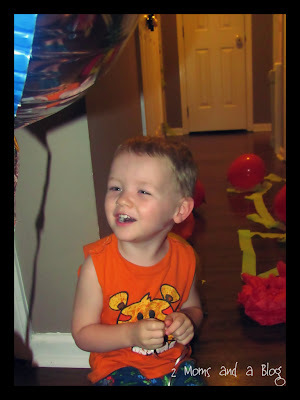 It was a fun little game for him to find the balloons with the money. When my Little Man woke up in the morning (as a 3 year old!!!) he was so surprised, happy and had the best morning. It was a lot of fun for him, and for me and his Daddy to watch him. Birthdays have always, and will always be a big deal to my family. It's a day to celebrate! So go all out, in any way you can to show your kids how special they are! The will always remember these things, and it's never too early to start traditions for your family that your kids will pass on. My Little Man is turning the big 3 tomorrow (please excuse me while I wipe away tears) so I wanted to make something special for him we could pull out every year so he would know his special day is coming! Of course I got on Pinterest and searched frantically. His birthday snuck up on my BIG TIME this year. I came across the Birthday wreath. Some people make it with balloons and bows, some with only bows, some with streamers etc. You get the picture. I decided to go with a classic balloon theme. Optional: pipe cleaner, bows etc. I know that this sounds like a lot of balloons. But fear not. You can find packs with a ton in them for super cheap at Walmart. First, if you purchased different sized balloons you will want to pin the larger balloons on first. Just pin them randomly on the wreath. To pin them pull the balloon in between the floral pin with the neck of the balloon sticking out one side and the head of the balloon sticking out the other. 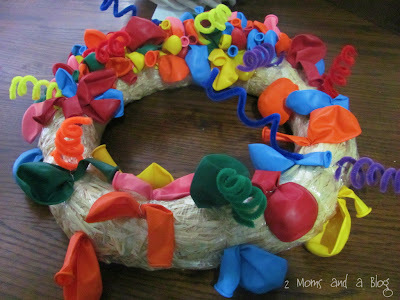 Next, if you are going to use any pipe cleaners you may want to go ahead and pin some of those on too. I just twirled some around my finger to get that "boing" look, as my son likes to call it, then pinned them randomly around the wreath. 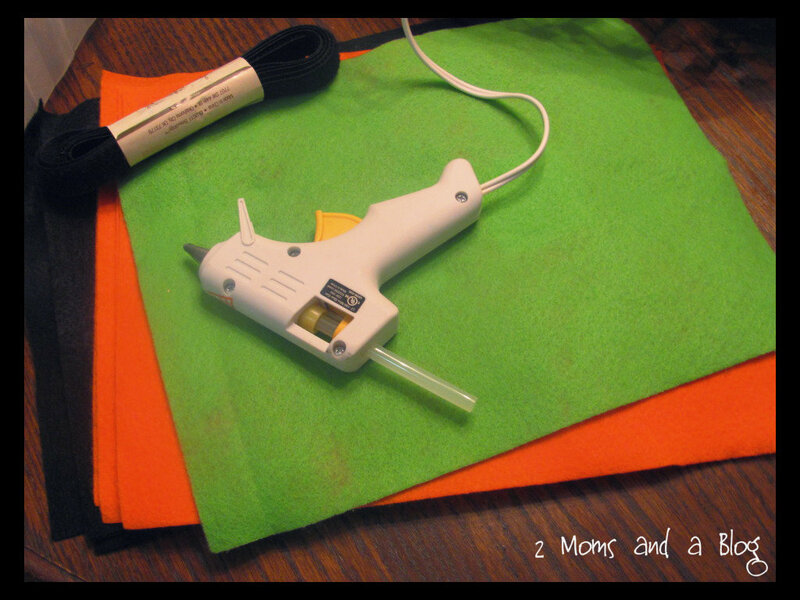 Finally, you will want to go ahead and pin in your smaller sized balloons. Please note, don't try to pin a bunch at once with the same floral pin. You will not get a good effect and the balloons will lay limp. Just pin down one balloon at a time. Be sure to pin them all close together. 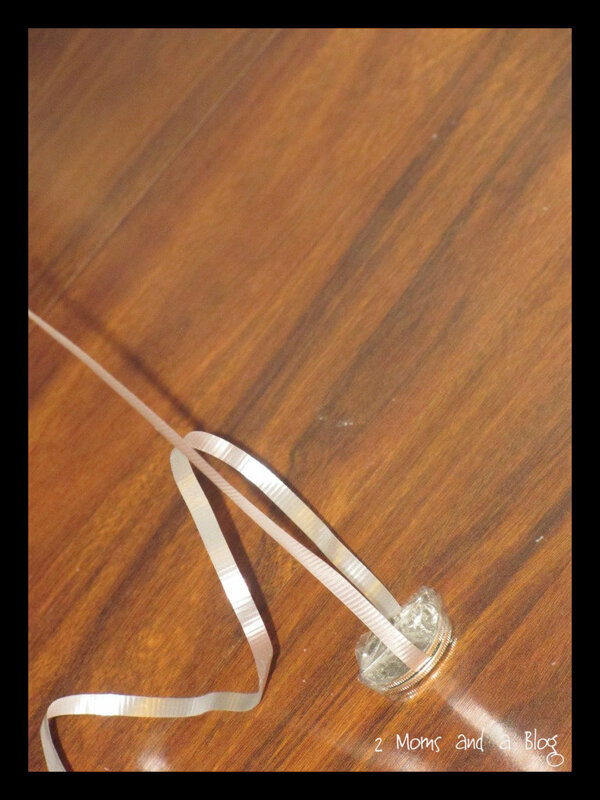 Now if you have any bows or ribbon you should go ahead and pin them in. 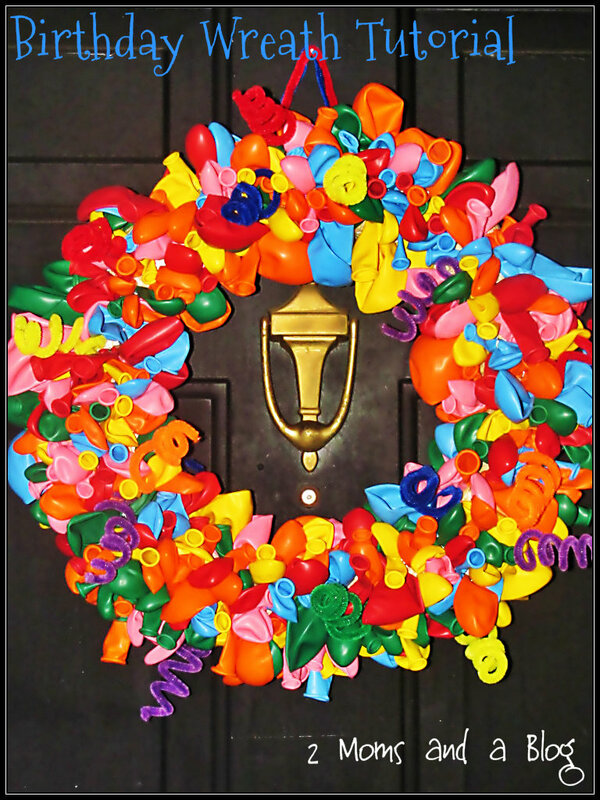 The last thing to do is to place the wreath upright wherever you will be hanging it. You will want to check for any open spaces and make sure you got the sides covered good. You don't want to see any of the straw on the wreath. 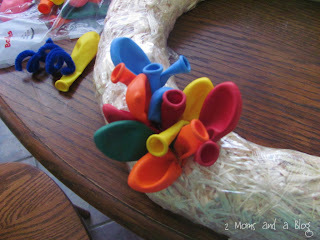 You can fill in any spaces with more balloons or pipe cleaners. I hung the wreath with a pipe cleaner because I don't have a wreath hanger. And there you go. Simple. Fun. You can use it every year. And it didn't break the bank to make it!